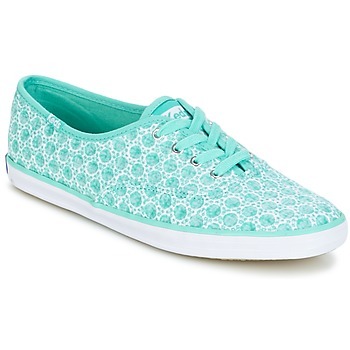 KEDS Shoes | Buy KEDS 's Shoes - Free delivery with Spartoo NET ! One hundred years and still as trendy as ever! 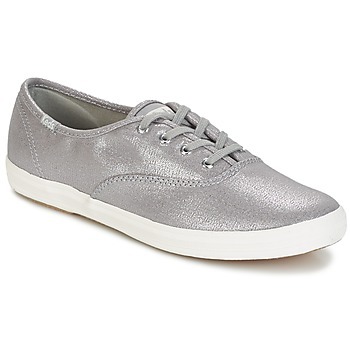 In 1916, Keds launched their first collection of shoes with soft rubber soles and invented the word "sneaker (trainers)". Worn by Audrey Hepburn, Marilyn Monroe, and Jackie O, they quickly became a veritable fashion icon. Today, they come in slip-on versions, flat shoes, wedge heels, high and low top trainers, and continue to inspire the biggest names in fashion, who participate each season in the reinvention of the brand. A hundreds years and they haven't changed a bit--well, almost! It goes without saying that the sneaker brand Keds has been able to transcend the decades, adapting to the styles of each period. It was in 1916 that it all began with the creation of a shoe with a soft rubber sole. From Marilyn Monroe to Audrey Hepburn, numerous celebrities have worn and loved their Keds, making them even more popular. If the famous low sneaker from the brand, easily recognized by its profile, is at the heart of the collection, other must-haves are lining up. The slip on is great for its comfort and its trendy design. Each creation reveals something from today's fashion trends: lace, glitter or an ethnic print, they all have something to pep up your outfit. Before giving everything to the women, Keds also has lace up shoes for men. The most popular men's model, the Champion Cvo, is available in a wide range of colours. This canvas sneaker is THE must-have shoe that we can wear in all seasons, always comfortable, always stylish. You don't have yours yet? Time to fix that!